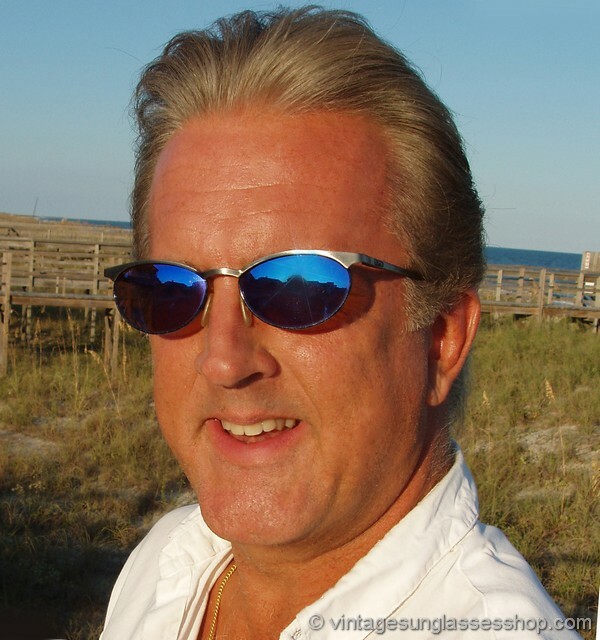 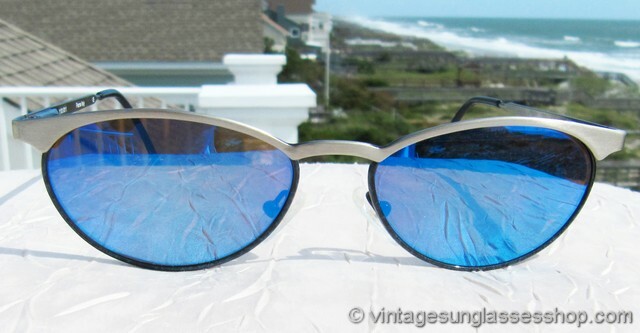 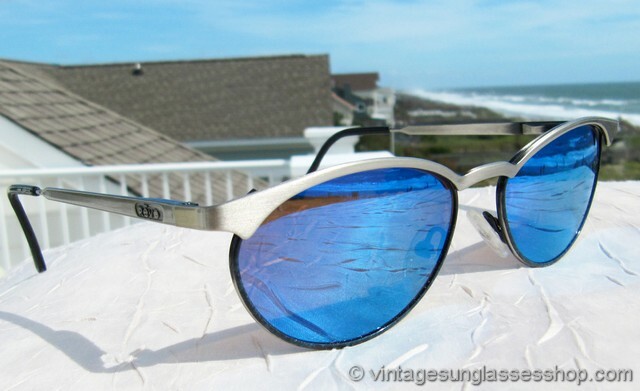 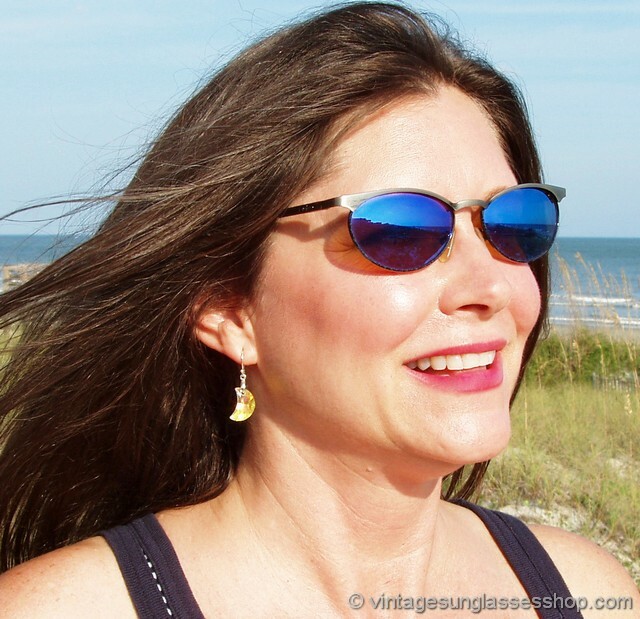 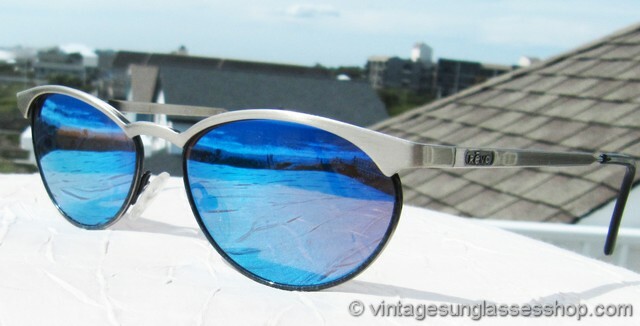 1 Vintage Revo 1101 011 sunglasses feature a brushed silver frame in the distinctive Revo 1101 sunglasses style coupled with highly reflective Revo blue mirror lenses, a color combination that's hard to beat. 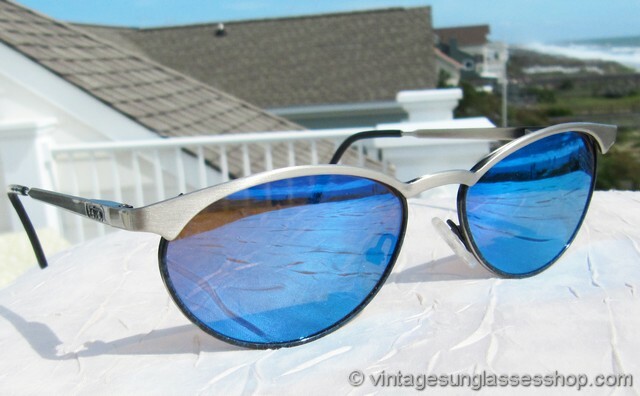 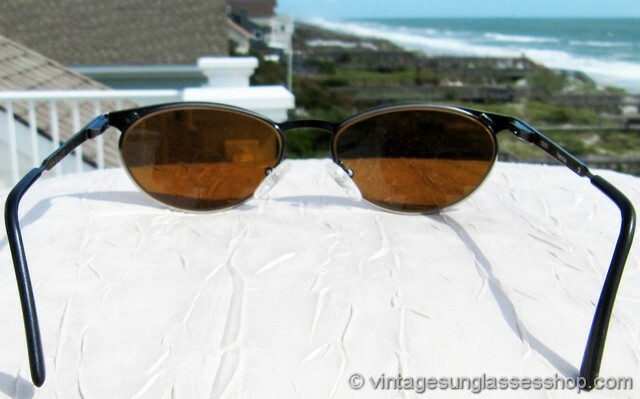 This is a unique design, with elongated top metal accent flared a bit at the temples, a variation of vintage Ray-Ban Clubmaster sunglasses but with ten times the design flair. 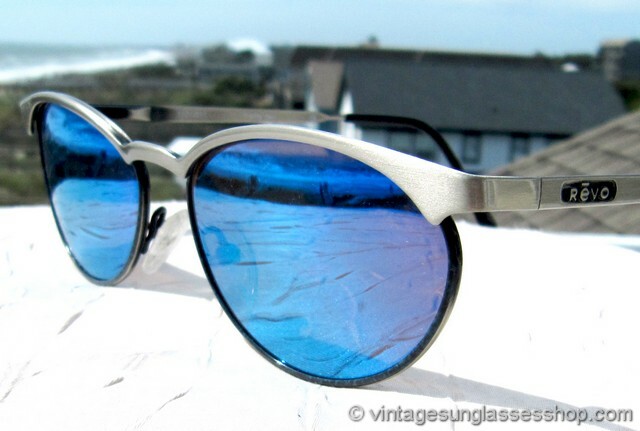 The blue mirror lenses themselves are secured with a screw closure and metal band that hides behind the top of the frame to make it invisible. 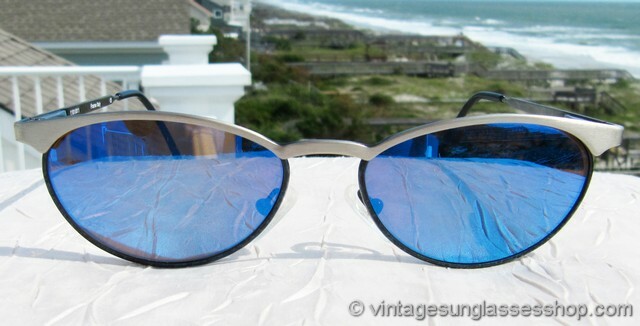 The unisex Revo 1101 frame measures approximately 5.5" temple to temple, and each uniquely shaped elongated blue mirror lens measures approximately 2.0" x 1.5" at the widest points. 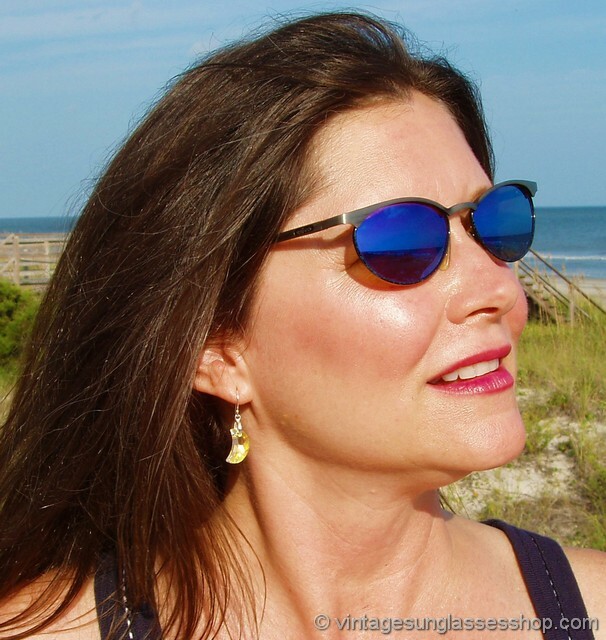 You'll find the Revo logo impressed in the metal of each ear stem near the spring loaded hinges, and the inside of one ear stem is maked 1101/011 Frame Italy CE. 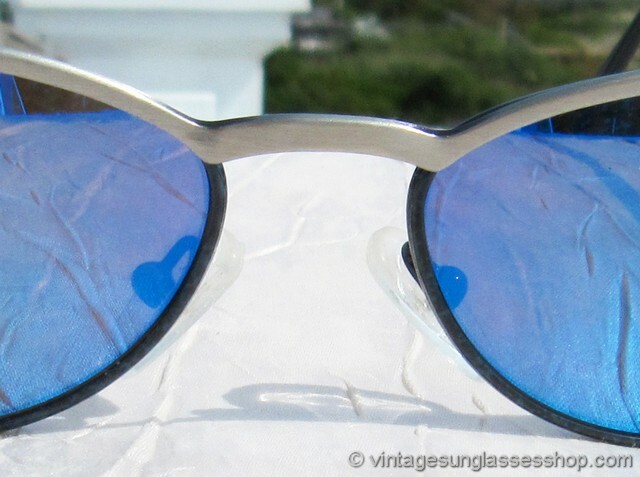 2 Step up another level beyond our already unequaled vintage condition standards with new old stock Revo 1101 011 blue mirror and gunmetal sunglasses in mint, unworn condition.